Item1991.028 item 222 - Victoria House, Brampton, Ont. Item 1991.028 item 226 - Main St. Brampton, Ont. 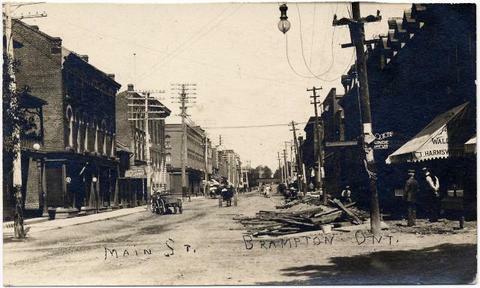 Item consists of a postcard of Main Street South, looking north from John Street.